Financing school construction is a coordinated dance number with WCPSS and Wake County government as dance partners. But it will be difficult for WCPSS when other partners want to cut in. The WCPSS School Board and the Wake County Commissioners met in a joint session last week to share with each other the needs and limitations to accommodate the future growth of the school district. WCPSS needs increases in student capacity at every level – elementary, middle, and high school – in almost every region of the county. The schools need to spend about $2 billion to meet its growth needs. School officials expect an increase of almost 21,000 students in the next five school years. On the flip side, Wake County government, which issues debt on behalf of the public schools, has to balance its current debt load with any new school debt. Add on to that, the county government’s need to also fund other capital projects such as transportation, libraries, parks and recreation, and general government capital projects. 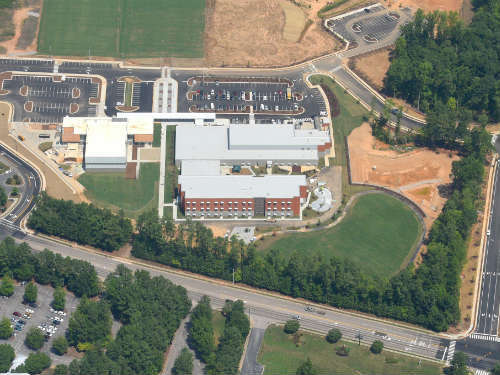 WCPSS needs an average $300 million a year for the next several years to keep pace with demand, and it is in the final stages of approving an initial construction plan for the next 5 fiscal years. Alternatively, Wake County government has to make sure its debt load doesn’t rise too high too quickly or it could force the county’s AAA bond rating to decline. This would increase the cost to borrow money. Nicole Kreiser, Wake County government’s debt manager, explained how different bond referendum scenarios would affect county finances. Bond referenda can only be voted on in even-numbered years during a county-wide such as a spring primary election or fall general election. This will affect the timing of taking new bonds for construction. Some school board members showed interest in putting a referendum on the ballot for this November’s general election, but county government officials suggested the schools wait until 2018 instead. In the meantime, the borrowing could be done through limited-obligation bonds which wouldn’t require an election. This method would not jeopardize the timeline that the schools are preparing for school construction, nor would it affect schools which are already under construction from the 2013 bond referendum. There was some discussion about the public’s appetite for another large referendum instead of a series of more frequent and smaller capital spending ballot initiatives. WCPSS School Board member Dr. Jim Martin suggested that the school system and county move towards a biennial bond referendum schedule. Based on anecdotal feedback he has received, Martin said the support for large bond packages, which trend upward of $1 billion, is less appealing to the people he’s talked to than more frequent smaller bond initiatives. No votes were taken at the meeting. Nor was a specific plan developed for the two bodies to move forward. That wasn’t the purpose. Both the school board and the county commissioners agreed this was a great discussion for both sides to understand each other’s needs and limitations. It helps that each organization knows what has an understanding of each other’s position for the next 5-7 years.